If Kathy Ross could offer one piece of advice to fellow CIOs — especially those who are new in the role — it’s this: don’t try to do everything on your own. That might mean finding a mentor, networking with peers, or just reaching out to others going through similar experiences. And in fact, one of the key advantages in being part of an organization like Ascension is the ability to share best practices, something that comes in handy when your team is replacing the acute and ambulatory EHRs at the same time. 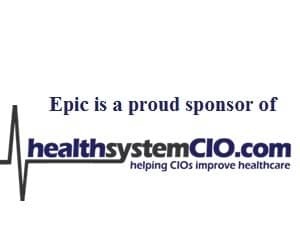 In this interview, Ross talks about how she balances the roles of CIO at both Sacred Heart Health System and Providence Hospital, the work her team is doing with Optum to give physicians “a clear picture,” and what she believes is the most difficult aspect of the EHR overhaul. She also shares her thoughts on change management, patient engagement, and leadership. It’s a new world in healthcare right now — to get people and individuals to take ownership of their health in general is a change. It’s not really the way that healthcare has ever been done. The first year was quite challenging, but the biggest part of it was learning the environment, learning the culture, learning the structure of Ascension as a whole. Once I was passed that part, it was great. I allow them to be their own boss, if you will. I empower them to make the right decisions, I support them, I give them the guidance and mentoring, the leadership that they need, but there’s no micromanaging in my organization. I had a great mentor that helped me to grow and to be where I am today, so I’ve always felt that’s a leadership responsibility that we prepare and grow our employees so they can take the next step. Don’t try to do everything on your own — ask people, reach out, network. The best thing that you can do is have a solid network to help you with your problems. Gamble: The other part that’s really starting to take a bigger stage is patient engagement. This is something where the levels of participation can be so different across organizations. How has the experience been in your hospitals as far as patients getting engaged in their health and adopting portals? Ross: It’s a challenge, it really is. The thing that we find is that the people who are engaged are generally not the ones who use a lot of the healthcare. So for the population that really needs to be engaged, it’s a challenge. We have, of course, a portal, just like most people. We also have, especially in our ACOs, care navigators to assist the patients who really need help to be engaged. It’s a new world in healthcare right now — to get people and individuals to take ownership of their health in general is a change. It’s not really the way that healthcare has ever been done. It was more, ‘I’ll do whatever the doctor says,’ and now we’re moving to, ‘we need you to participate to make sure that you stay healthy.’ And we’re doing probably the same thing that every other organization is doing. We’re trying to educate our patients; we’re providing different levels of opportunities for them to be engaged and doing more communicating from the provider levels to educate our patients on how to better be engaged. It’s going to be an evolution of people becoming more and more responsible for their involvement in their health. Gamble: I think it’s another thing that a few years from now is going to look completely different than it does right now. Ross: Absolutely. Honestly, as the generations are maturing, more and more engagement is going to take place. Gamble: Yeah, it’s already changed so much in the last few years. Ross: It’s kind of scary if you actually lay it all out and look at the amount of change that healthcare has done in the last 20 years. It’s amazing, even if you just look at the last five years. Gamble: Yeah. Now, we’ve already covered a lot, but is there any other major priorities for you either right now or in the near future that we haven’t touched on yet? Ross: We touched on the biggest ones. We have constant change, constant projects. The thing about IT is it’s never the same — it’s constantly changing. You have to like that, or you won’t be successful in this role. Gamble: Okay, so I wanted to get into a little bit about your leadership style. For eight years you’ve been with Ascension Health, and then prior to that you held a different CIO role, right? Gamble: And that was at a smaller hospital? Ross: Yes, it was Beaufort Memorial Hospital in Beaufort, South Carolina. It was a community-based hospital, around 200 beds. Gamble: So, that’s a pretty significant change going from that to such a large organization? Ross: The thing about IT is, whether it’s 20 beds or 20,000 beds, the technology is the same — you’ve got more end-users and you’ve got more leaders. The smaller hospital was an amazing place to help you grow. I had a great executive team I worked with that really prepared me to step into a much larger seat, if you will. And of course the first year was quite challenging, but the biggest part of it was learning the environment, learning the culture, learning the structure of Ascension as a whole. Once I was passed that part, it was great. Gamble: What was it that made you interested in going to Ascension? Ross: Really, the opportunity was exactly what I was looking for. I had moved from South Florida, I felt like I had grown significantly as I could have at my current organization at Beaufort — not that I wouldn’t continue to grow, but the major milestones and the major growth opportunities had presented themselves to me. I had been there six years, so it was time for a change. It was time for me to go to my next level. Gamble: And do you feel that your leadership style changed with going to a different organization, or did you keep it the same at its core but then make some changes as needed? Ross: The basic foundation is the same. I’ve always been very, very empowering to my employees. I allow them to be their own boss, if you will. I empower them to make the right decisions, I support them, I give them the guidance and mentoring, the leadership that they need, but there’s no micromanaging in my organization. That is not something that I feel that the level of expertise that we have within IS requires. There are some people that like that; those are not generally the people that I hire or who stay. I’ve got great directors and great managers. We really look for the talent — we don’t just hire because we have an open position. We would rather not hire and get the right person when they come along than not have an open position when the right person does come along. So it’s very collaborative. I have an open-door policy. I really don’t think my leadership style has changed much. Probably I’m getting a little softer as I’m maturing, and hopefully I’ll continue to do that, but I don’t think it’s really changed that much. We empower associates, like I said, to make decisions. If it’s the wrong one based off of right reasoning, there’s not a problem. Even if it’s a wrong decision, they’re supported, and we use it as a sail-forward type of growth opportunity. Gamble: So, as far as what you consider really important qualities or what you look for, it’s somebody who’s willing to come forward with their ideas and not be afraid to fail? Gamble: And as far as mentoring, is that something that you do formally or is it something where it’s kind of more of an informal process where you just kind of try to offer advice to people? How do you view that right now? Ross: Actually, we do both within Ascension and I’ve always participated in mentoring because from my early career when I started from a respiratory therapist as a CIO, I had a great mentor that helped me to grow and to be where I am today, so I’ve always felt that’s a leadership responsibility that we prepare and grow our employees so they can take the next step. That’s something that I’ve always been committed to. I always encourage education and stepping out of your comfort zone to do more. I’ve had people ask me to be their mentor outside of IS and I’ve done that. Currently we have a formalized mentoring program that I participate in at Ascension that is run by a manager who is actually in another state, so we do formally and informally. Plus I do mentoring informally, of course, with my directors and all my employees. Gamble: Yeah, it’s so useful just hearing from people who’ve been in the same shoes. This is a tough question, but is there any advice you would offer to people who are seeking to step into a CIO role? Anything that maybe you wished you would have known? Ross: I’m not sure if there’s anything I wished I would have known because if I’d have known, I might not have done it. Gamble: That’s true, that’s a good point. Ross: But I think it’s not to be afraid and to really do try to find someone that can mentor them on the right way on how to do it. And don’t try to do everything on your own — ask people, reach out, network. The best thing that you can do is have a solid network to help you with your problems. Even today, I’ve been in this role for over 15 years as a CIO, and I still call my colleagues and say, ‘This is what’s going on, here’s what I’m thinking. What do you think?’ Always have a group to go to. Even if they’re not in that role yet, find some who they click with or who generally they get along with and ask them, ‘What do I need to do? How do I need to move forward?’ And that will help anyone who’s looking. For the step-up, that’s the best opportunity because we like to see people succeed. Gamble: Yeah, I think that’s a really great point. It’s really easy to fall into the trap of wanting to appear like you’ve got it all under control, but nobody ever does really. Ross: Nobody ever does and whoever tells you they do, I don’t believe them. Gamble: All right, we’ve covered a lot, and I want to thank you so much for your time, especially since I know that you’re in the middle of so much there. Thanks for taking some time to speak with us and share your experiences. It’s really helpful to our readers. Ross: Thank you very much. It’s been a pleasure. I really enjoyed it. Gamble: Great. I’d definitely like to touch base with you a little bit down the line to see how everything is going. Ross: Perfect. I’m sure I’ll be doing new projects then, too. Gamble: Definitely. Not a shortage of things to talk about. Gamble: All right, thank you, Kathy, and I hope to talk to you soon.